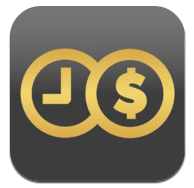 Your Time Is Money is an iPhone app developed by Loaded Response, LLC. Featuring down-to-the-second timing, this app is targeted towards lawyers and other professionals who need to track their billable hours. 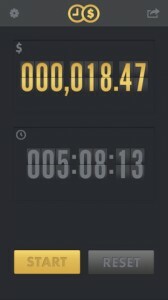 Designed to be a simple app that lets users escape from overly complex apps that require third party integration, Your Time Is Money features a simple, elegant timer display for tracking hours and calculating the value of your time. 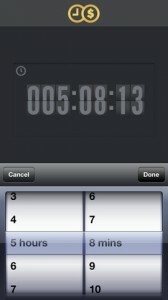 Just enter your hourly rate, and the app takes care of the rest. 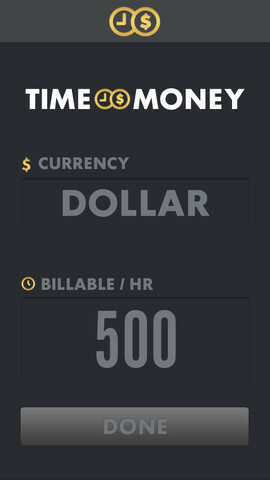 In addition to tracking time, Your Time Is Money also sends billing info right to the client or their billing department, whichever is appropriate. Your Time Is Money tracks billables in four common currencies: the US dollar, the British pound, the Japanese yen, and the Euro. If you do business with people in a country who don’t use these currencies, you’ll have to do your currency conversions on your own. 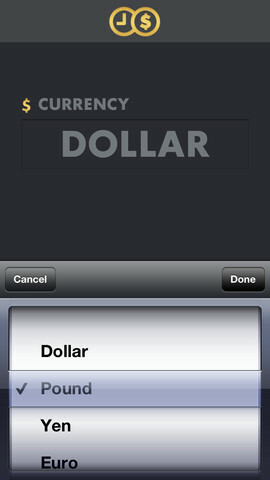 Perhaps the next update will include support for additional global currencies, or at least a more convient way to calculate exchanges from within the app itself. While Your Time Is Money is specifically targeted towards lawyers, other professionals who bill by the hour can also make use of this handy app. It’s great for consultants, freelance designers, and many other busy people. For any busy professional who needs to track the amount of time they are spending with clients, this billable hours calculator is a real gem. It’s the perfect app to have running in the background during a phone call with a client, and even works offline. Plus, it looks beautiful. 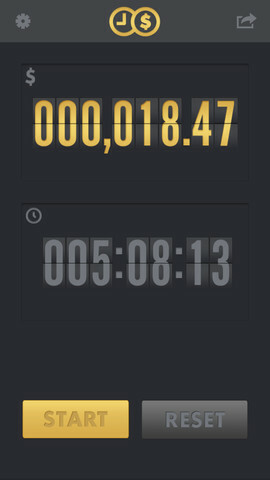 Your Time Is Moneyis compatible with iPhone 3GS, iPhone 4, iPhone 4S, iPhone 5, iPod touch (3rd generation), iPod touch (4th generation), iPod touch (5th generation) and iPad. Requires iOS 5.0 or later. This app is optimized for iPhone 5.